Love books and libraries? We do too! 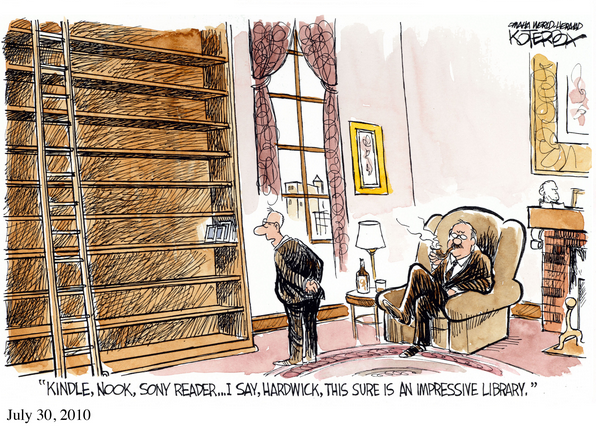 Here are some library quotes and jokes for your enjoyment. If you have a funny quote or joke to add to the list, please let us know. 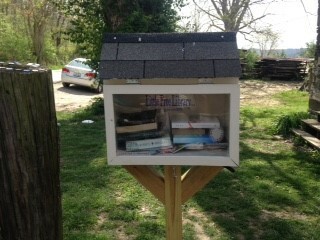 Little Free Library is a non-profit organization that promotes neighborhood book sharing around the wor ld. 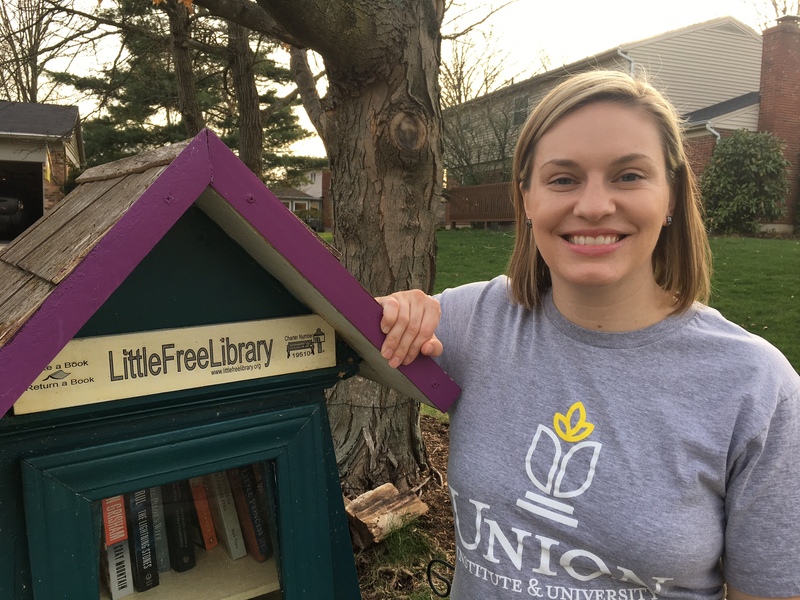 You can start your own Little Free Library by installing and displaying a box where everyone is invited to take a book or leave a book! This promotes community conversations and helps foster reading and literacy. 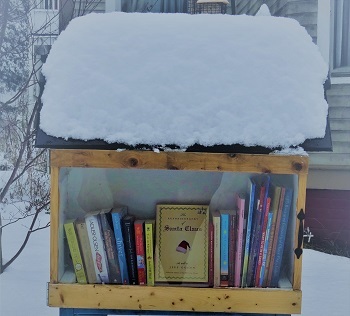 To find a Little Free Library near you, search their map. 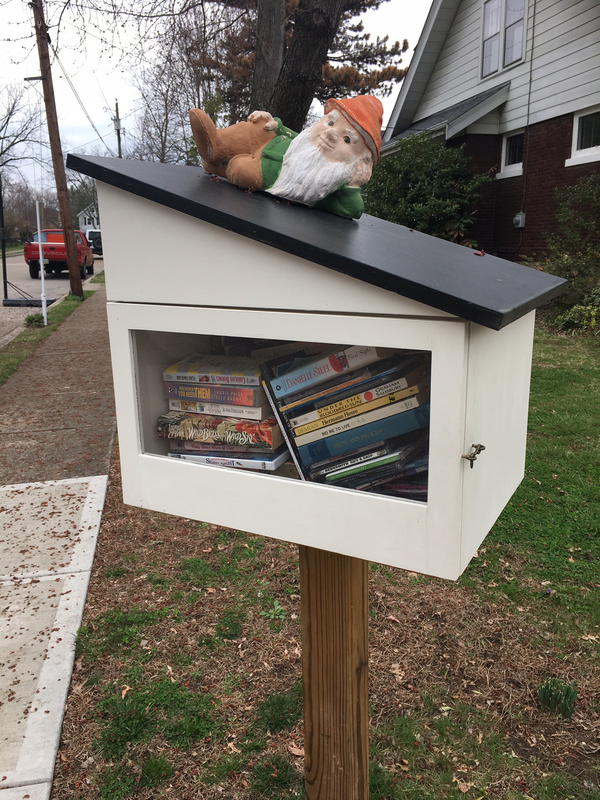 Check out a few of the Little Free Library boxes that we found in our local communities! UI&U Celebrates National Library Week! This week of celebration offers a great time to remind you of the services available to you to transform your educational journey. OneSearch – A new comprehensive search engine that allows students to search multiple databases simultaneously is available. OneSearch will yield results that include e-books, scholarly articles, doctoral dissertations, videos, and more, saving hours of preparation. Multimedia and Videos – A variety of video and media databases, ranging from educational videos to copyright free images for presentations, are available that will make your assignments easier and more professional. Welcome to the UI&U Library Video – A brief, five minute video introduces the UI&U Library, the library website, OneSearch, formatted citations, tutorials, and librarian assistance so that you can use the library efficiently and expertly. Help Center – The Help Center offers a list of tutorials, guides, and tips to transform your educational journey. Click here and find out. Personal service – Personal service is the hallmark of the library. Librarian assistance is available by email, phone, chat, text, and video conference. Work from the convenience of home – The library offers students flexibility and convenience that is only a click away. 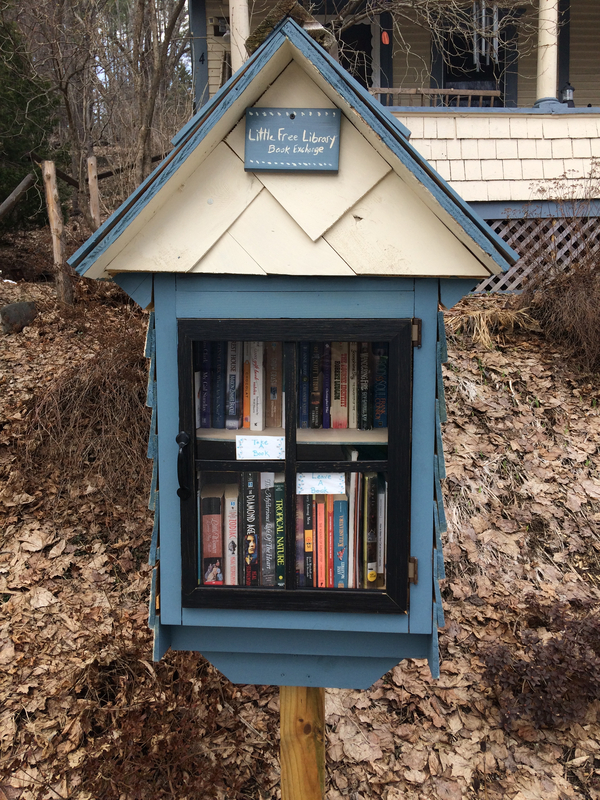 You don’t have to find a parking space, or physically search for books. APA and MLA citations– Articles and ebooks in the library come with formatted APA and MLA citation styles. Databases have citation tools that will automatically format citations for your bibliography. Stay current – Librarians can help you identify the top journals in your field. With database journal alerts, new journal issues will be delivered directly to your inbox. Get started today. Interlibrary loan – An interlibrary loan is just a request away. Place an interlibrary loan request and we will get it from another library for free! Career & job search – The library has hundreds of resources that offer the knowledge and tools to help you on your career & job search. Click here to view the many materials available to you. For your enjoyment, below is a comic by Jeffrey Koterba, which can be found on jeffrey.koterba.com and is used with permission. Since joining the Omaha World-Herald in 1989, Jeffrey Koterba has been a finalist for Editorial Cartoonist of the Year from the National Cartoonists Society and has placed second in the National Headliner Awards. In 2009 and 2010, he won first place for editorial cartooning in the Great Plains Journalism Awards. His cartoons are distributed by King Features to 400 newspapers nationwide in its The Best & The Wittiest package, a weekly offering of at least 25 timely and thought-provoking editorial cartoons, of varied styles and views, from Koterba and other award-winning editorial cartoonists such as John Branch, Gary Brookins, Brian Duffy, David M. Hitch, Lee Judge, Jimmy Margulies, Rick McKee, Kevin Siers and Kirk Walters. –Comics Kingdom. His memoir Inklings is available on Amazon.com. Here is a list of 25 librarians who changed history for better and for worse from Laura Mulligan’s former OnlineBestColleges blog. 14. Lewis Carroll: The author of Alice’s Adventures in Wonderland and Through the Looking Glass, Lewis Carroll’s real name was Charles Lutwidge Dodgson. 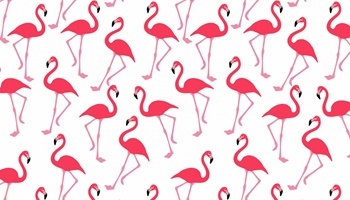 Dodgson grew up in Cheshire and Yorkshire, England, and after graduating from Oxford with a B.A. in mathematics, he became a sub-librarian at Christ Church there. He left that position in 1857 to become a Mathematical Lecturer. Dodgson first told the story of Alice Adventures in Wonderland to the three daughters of the Dean of Christ Church, in 1862. The book was published three years later and continues to be a popular and significant work of fiction today. 15. Beverly Cleary: Popular children’s book author Beverly Cleary wrote the Ramona Quimby books and Henry Higgins books and has received three Newbery Medals. But before she became a celebrated author, Beverly grew up in a tiny town in Oregon, where her mother asked the State Library to send books to their farm. During the Depression, Beverly went to junior college in California and later attended the University of California at Berkeley. She then attended the School of Librarianship at the University of Washington, Seattle, and became a children’s librarian. 16. Laura Bush: Former First Lady Laura Bush earned her Master’s degree in Library Science from the University of Texas at Austin after working as an elementary school teacher. As the First Lady of Texas, she supported George W. Bush’s campaigns and started her own public projects regarding education and literacy. When George W. Bush became President of the United States, Laura supported librarian recruitment initiatives and toured many libraries around the world. 17. Madeleine L’Engle: American author Madeleine L’Engle’s A Wrinkle in Time is still a popular book among junior high students and almost like a rite of passage for young fiction readers. She has won multiple Newbery Medals and other awards, but later in life, she served as the librarian and writer-in-residence at Cathedral of St. John the Divine in New York City. 18. Marcel Proust: At once one of the most celebrated and obscure novelists and critics of all time, Marcel Proust once decided to go to school to become a librarian. The French writer was born in 1871, and his most famous work, In Search of Lost Time is still studied today. 19. Jorge Luis Borges: Jorge Luis Borges is an Argentine writer who made significant contributions to fantasy literature in the 20th century. He shared the International Publishers’ Formentor Prize with Samuel Beckett and was a municipal librarian from 1939-1946 in Argentina, before getting fired by the Peron regime. One of his most famous short stories, “The Library of Babel,” depicts the universe as a huge library. 20. Joanna Cole: Joanna Cole’s The Magic School Bus series has served to educate and entertain elementary-aged children about the human body, space, and more. She has also worked as a librarian, a schoolteacher, book editor and writer/producer of the BBC children’s TV show Bod. 21. Jacob Grimm: Grimms’ Fairy Tales was first published in 1812, but the stories, including “Hansel and Gretel,” “Cinderella,” and “Snow White,” are still classic children’s stories constantly reinvented as plays, Disney movies and more. Jacob Grimm worked as a librarian in Kasel, after graduating with a law degree. During this time, Jacob and his brother Wilhelm collected German folk tales from ordinary citizens in hopes of uniting area kingdoms on the basis of sharing a similar culture. 22. Philip Larkin: English poet Philip Larkin was born in 1922 in Coventry. He began publishing poems in 1940 and was even offered the Poet Laureateship of England after the death of Sir John Betjeman, but he declined. Besides writing poetry and novels, Larkin worked as an assistant librarian at the University College of Leicester, a librarian at the University of Hull and was elected to the Board of the British Library in 1984, the same year he received an honorary D.Litt. from Oxford. 23. Stanley Kunitz: Stanley Kunitz is a celebrated American poet who was named the United States Poet Laureate in 2000. He has also been awarded a Guggenheim Foundation fellowship, the Levinson Prize, the National Medal of the Arts, and more. Before being named the U.S. Poet Laureate, Kunitz was Consultant in Poetry at the Library of Congress from 1974-1976. 24. Jessamyn West: Jessamyn West is taking information science into the future with her website, librarian.net. Besides creating the Library 2.0 and “cool librarian” site, West served on the American Library Association Council and strongly promotes the freedom of speech and expression. 25. Nancy Pearl: Nancy Pearl is kind of like a celebrity librarian. 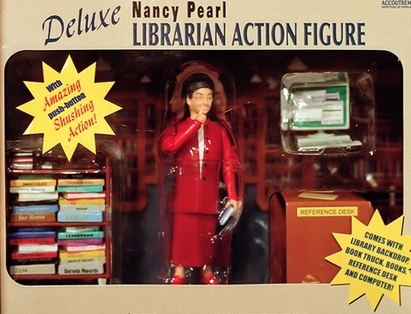 She has an action figure and travels around the country giving lectures and spreading the good news of books. She started the trend of city-wide book clubs when she organized the “If All of Seattle Read the Same Book,” program in 1998. She also has a Women’s National Book Association Award, served as Executive Director of the Washington Center for the Book, and wrote an immensely popular, best-selling book called Book Lust. 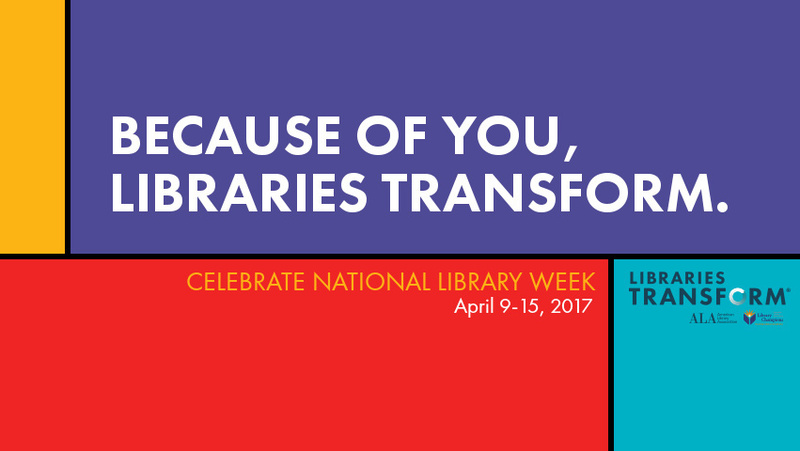 It’s National Library Week and this year’s theme is Libraries Transform. During this week of celebration, we want to share with you 10 ways the library can transform your academic journey. Our library offers a growing collection of 150+ research databases, containing over 60,000 journals, 250,000 e-books, and millions of theses and dissertations from universities worldwide. Start searching here. The library provides access to academic, scholarly resources that offer accurate information to support your research. We provide quality, friendly service. Our librarians are available to meet with you individually, and are willing to work around your busy schedule. Librarian assistance is available by email, phone, chat, and text. Schedule your appointment today. The library offers students flexibility and convenience that is only a click away. 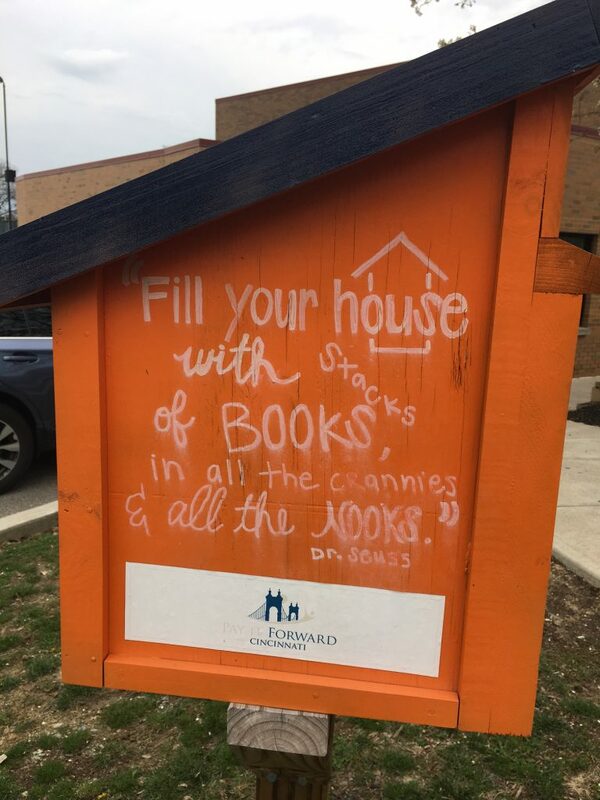 You don’t have to find a parking space, or physically search for books. Working with the APA or MLA citation styles? Our databases have citation tools that will automatically format citations for your bibliography. Librarians can help you identify the top journals in your field. With database journal alerts, new journal issues will be delivered directly to your inbox. Sign up today. Need a book or article that is not in the library? Place an interlibrary loan request and we will get it from another library for free! Looking for a job or polishing your professional skills? The library has hundreds of resources that offer the knowledge and tools to help you on your search. Don’t go it alone. Facing a daunting paper? Librarians are ready to help you think it through and find the sources you need to ace your assignment. Let’s start that project together. We think research is fun. To help you improve your research skills and have fun, we developed a treasure hunt with six clues hidden throughout the library website. For your enjoyment, here is Wikipedia Comic by Foxtrot author Bill Amend. To find more fun Foxtrot comics, please visit Foxtrot.com! When your done, watch the video below to learn about the ways you CAN use Wikipedia as part of the research process. © Bill Amend. Foxtrot Comics. Used with permission.